This spring, we welcomed two new members onto our Board of Directors and we are excited to introduce you to them. Our all-volunteer Board of Directors is a remarkable group of people who set the vision for BCAction and lead the organization by determining organizational policy, assuring the organization’s financial security, and representing BCAction’s views to the world at large. For information about joining our Board of Directors, click here. 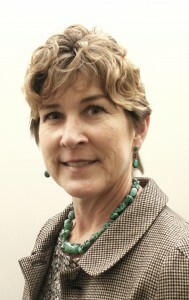 Although Peggy Huston has lived in other parts of the U.S., she is from the San Francisco Bay Area and returned here to raise her two, now adult, children. For 13 years, Peggy has worked at the University of California – Berkeley, and over the last four, she’s managed an office focused on enabling the financial sustainability of the campus. She met BCAction Executive Director Karuna Jaggar at The Board Match in February 2014, where she was seeking an opportunity to share her talents and experiences to advance a worthwhile mission outside of her daily job at UC Berkeley. She likes to think it was destiny that their paths crossed. Breast Cancer Action offers the opportunity to advocate for those who face breast cancer now, and to contribute toward finding a solution that will end this breast cancer epidemic. I look forward bringing my experience working in Finance and non-profit management to Breast Cancer Action and to serving as a member on the Board of Directors. Shobita Parthasarathy is an associate professor in the Ford School of Public Policy at the University of Michigan, where her research explores politics and policy related to science and technology. 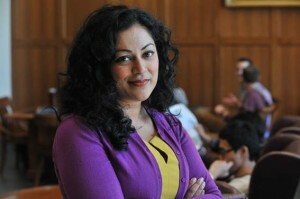 She’s performed extensive research on the political and policy environment related to breast cancer (particularly genetic testing and gene patents) in the United States and Europe, which culminated in a book, Building Genetic Medicine: Breast Cancer, Technology, and the Comparative Politics of Health Care (MIT Press, 2007). This work influenced the 2013 Supreme Court decision to end human gene patents, in which BCAction was a plaintiff. Shobita is currently working on her second book, which compares civil society activism related to the patent system in the United States and Europe. Civil society activists have challenged how patent systems understand the public interest, and argued that the patent system needs to pay more attention to health, moral, social, distributional, and environmental concerns. Gene patents are a major object of study in this analysis, as are other kinds of “life form” patents. I first encountered BCAction when I was doing the research for my first book; BCAction played a pivotal role in shaping the early politics of BRCA gene testing! And, I encountered the organization again through our mutual work on the 2013 Supreme Court case. In all of these interactions, I have always been impressed by the organization’s commitment to achieving health and social justice for all women affected by breast cancer. So, I was thrilled when I was asked to join the Board of Directors! I’m hoping that my background and expertise can be useful to BCAction in a few ways. My research analyzing civil society activism in technical policy domains may be useful as the organization continues to develop its excellent advocacy work. I look forward to connecting BCAction’s work with academics who are doing research related to the social, health, and environmental implications (particularly connected to health and environmental inequalities) of new science and technology related to breast cancer. BCAction is fearless and has enormous integrity as an organization. It isn’t afraid to take principled positions on controversial issues, and backs these positions with strong evidence and advocacy. BCAction thinks critically about the health, environmental, scientific, medical, social, and political issues affecting breast cancer. Rather than simply accepting the conventional and accepted answers, BCAction develops its advocacy efforts and strategies by thinking in deep and serious ways about what will improve the lives of all women at risk of and living with breast cancer. I think that breast cancer activism has made enormous strides over the last 25 years. There’s widespread social awareness of the disease and prevention and treatment tools, and there’s been a dramatic rise in focused research funding and some treatment improvements as well. So, the time is now ripe for the next steps. I’m particularly interested in changing the public conversation so that awareness, and focusing simply on more research and more treatments are no longer seen as enough. We need to convince government and industry to make prevention and treatment tools more widely available, to take quality of life and health justice (including health disparities) seriously as they fund research projects and make drug approval decisions, and to think more critically about the role that social structures play in breast cancer incidence and survival.